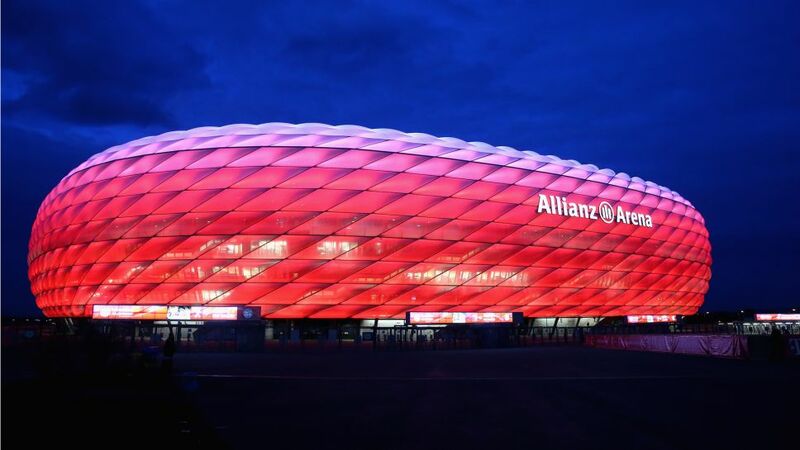 The Allianz Arena is one of the most innovative stadiums in world football, but Bayern Munich's hi-tech abode is about to get a whole lot better. As well as new, energy efficient LED lighting inside the stadium and improved security measures around the ground, the revamped Allianz Arena is currently in the final stages of work to install the largest video wall in Europe. After 12 years of service, Bayern's two old screens are set to be usurped by a pair of 200-square-metre replacements, both boasting the latest Ultra HD technology. Smaller screens will also be installed on the back of the video wall to make match highlights and replays visible to all 75,000 spectators inside the arena. The upgrades, which also include revamped toilet facilities on level 6 and an improved pitch-side TV compound for broadcasters, will be unveiled when Bayern host Jürgen Klopp's Liverpool in the 2017 Audi Cup on 1 August.